Fortnite Season 7 week 9 has begun. With the new week comes a set of all new challenges that players can complete to unlock tiers towards their battle pass. 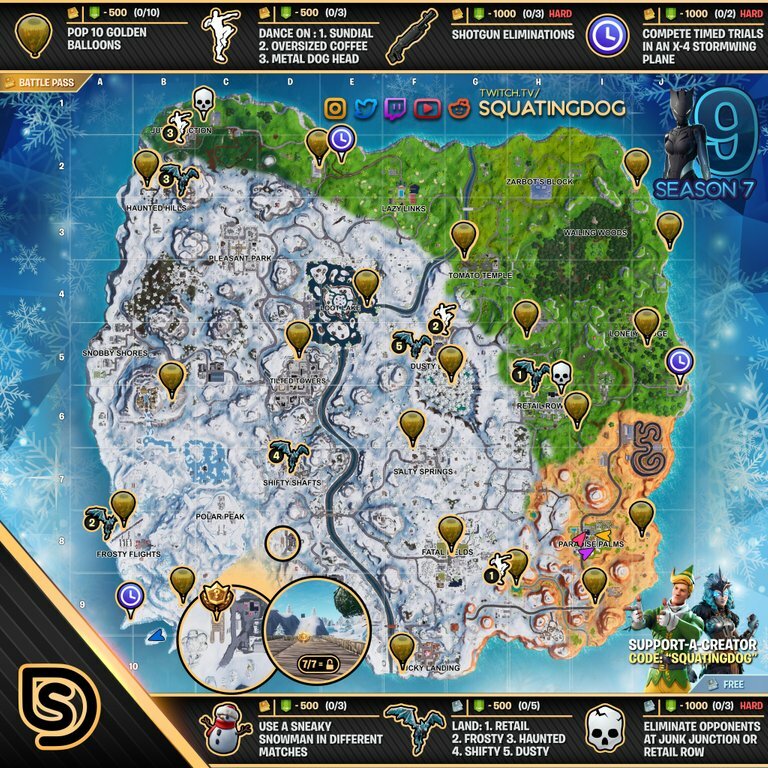 To help you complete the challenges we have shared an all new season 7 week 9 cheat sheet. The cheat sheet maps out all of the golden balloon locations, timed trial locations for your X-4 Stormwing challenge, and much more. The cheat sheet will help you complete the week 9 challenges. The cheat sheet breaks the challenges into two groups; free battle pass challenges and paid battle pass challenges. Players who are playing on the free battle pass for season 7 will be able to complete 3 challenges worth 20 battle pass stars. Those that have purchased a season 7 battle pass will be able to complete not only the 3 free challenges, but 4 paid challenges for a total of 50 stars.